i love this green thing!! i want to plaster it all over my walls! 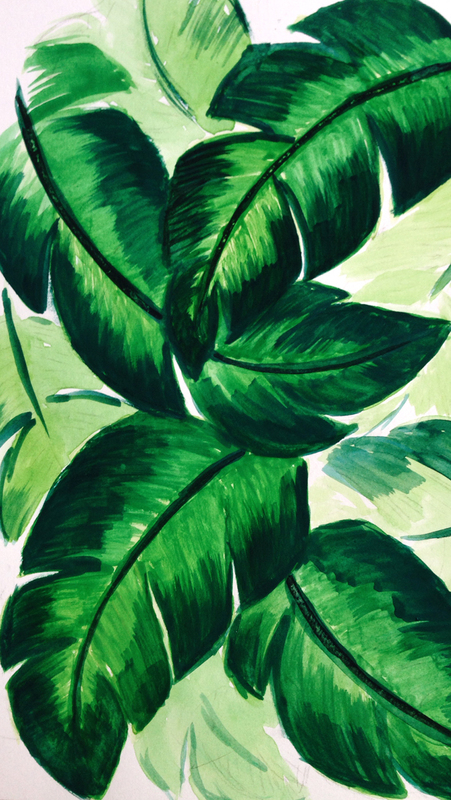 i'm still seriously considering painting giant murals in every room of the house, but i've resorted to keep this little tropical ditty on my phone... and you're welcome to use it on yours too! hope you're all having a lovely summer's end! This is gorgeous!!! I am having the hardest time scanning my work to make it a digital format. I've resorted to doing everything with my Wacom tablet instead. Any tips? :) I'll definitely be using this as the background on my phone. All of your work is beautiful!